Distinctly located in the heart of Downtown Manhattan's Tribeca. 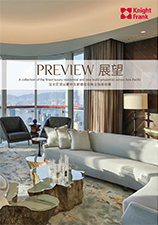 More than 685,000 visitors per month visit our global property search to view over 12,000 properties in 16 languages. Click to view London, Hong Kong, Australia, Singapore properties or simply type in your property in the searchbox. Set up alerts on the latest Knight Frank properties listing and create your own personal research library of properties to rate and review. Click here to download our app and view details for over 12,000 properties worldwide. Join the 110 countries who have already downloaded the app!